The key to a yard that is the envy of the neighborhood is having regular Huntsville lawn maintenance in place. 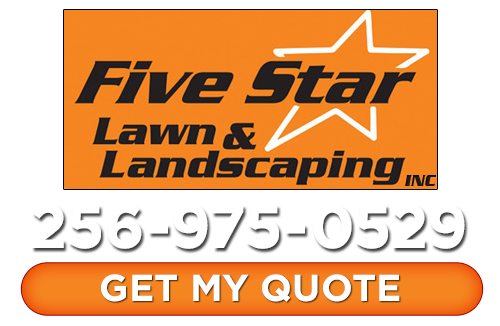 At Five Star Lawn and Landscaping, Inc. we have years of experience not just in the field but in delivering to our clients exactly what they want. When it comes to the expectations of our customers it is not just about meeting them, it is about exceeding them. Getting the right kind of lawn care is about having an ongoing plan in order to achieve the desired look; it is not just about having someone mow your yard once in a while. As professional Huntsville landscapers, we take what we do seriously and it shows in the final look we create for yards all over the Huntsville community. Grass, just like trees and any other type of plants, are an essential part of your landscape and it all starts with the roots and ends with ongoing maintenance and care. At Five Star Lawn and Landscaping, Inc. we provide complete and ongoing lawn care maintenance services that help ensure this can happen. The problem is that too many homeowners assume this is the type of work that they can take care of on their own. Before long the grass starts to turn brown or problems arise like insects or disease. The work required is an ongoing process that has to be taken care of on a regular basis. This will help ensure that your lawn not only continues to look decent but that it actually continues to look better and healthier with time. So don’t just take our word for it, let us show you firsthand how our expert level of workmanship can make all the difference. Effective lawn care for your residential property is something that is essential to making your yard look its best. We provide you with the highest quality of service that includes result-producing options. You can rest assured that when you work with us you get the best in the business that will get you the results you want and deserve. 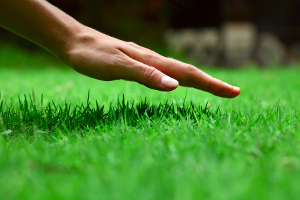 So if you want a lush, healthy lawn that makes the neighbors green with envy, then give us a call today. We will work with you to make sure you understand your options and then help you decide on services that are right for you. We will help implement a plan of action that will help you get the grass you have always wanted and then make sure you have the yard you have always dreamed of. For all of your Huntsville lawn maintenance goals, give us a call today to get started. If you are looking for Huntsville lawn maintenance services, then please call 256-975-0529 or complete our online request form.